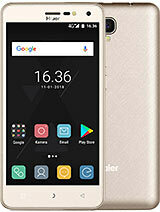 this phone is alright but it is a bit too basic.the best things about it is the shape(no one realises its a phone,therefore thief proof) and the laser(i love shining it on da cinema screen and hear peoples reactions) but other than that its not very gud-in other words its f*! @%&g crap!where would other haier phones be available in england-preferably in london. i lost my p5 in a nite club!! i am so raging!!! 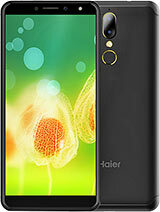 I have recently acquired a Haier P5 Phone. One of the features of the phone is a built-in laser pointer, and the bulb or the LED is also there, but no instructions are available for operating the Laser Pointer, either in the phone menu, or in the user guide. 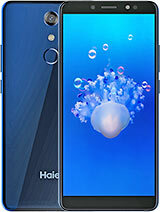 it is unfortunate that to the beautifully made handset by haier company i.e P5 and also the rest of the phones by this company, there is no single accessories to replace for any damage to any phone named HAIER. I am from Nigeria if you are wondering, this may sound shocking but the fact is what i have just mentioned. At any rate, i love your product but i am not happy now because a phone i bought for a high price is now suffering from battery replacement . Kayode Adefala. I bought the P5 from a small retailer in Athens Greece and I am quite happy with it.The only problem is that I need a new battery and it seems that it is difficult to get as the shop that I bought it has no stock and keep telling me to check again with them for a long time. Can you suggest where I can find a new battery in Athens and, if not, can I order one by mail? i am from jamaica, my haier phone keeps shutting down, how do get it to operate again? Any chances of it coming to South Africa? People keep wondering whether it's a phone or not. Difficult to steal because they don't know it's a phone until u put it on ur ear to take or make a call. It's a great one. 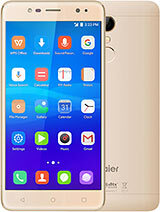 Do you have a retail outlet for Haier phones in Dubai, UAE ? If so, can you give the contact details ? i bought a p5 of a back of a lorry i think the fone creates alot of attention when people see it. i am from ireland and i tell people that its begin discontuined here, will it ever come out in mobile phone shops in the UK??? 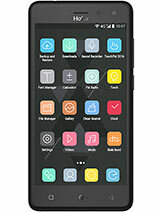 Total of 129 user reviews and opinions for Haier P5.